CERTH is the largest research centre in Northern Greece with the mission to carry out basic and applied research with special emphasis in exploiting research results and developing new products and services with industrial, economic and social impact. In 2012, CERTH ranked first among all research centres in Greece regarding the absorbed funding from the FP7-ICT Programme during the period 2007-2011. 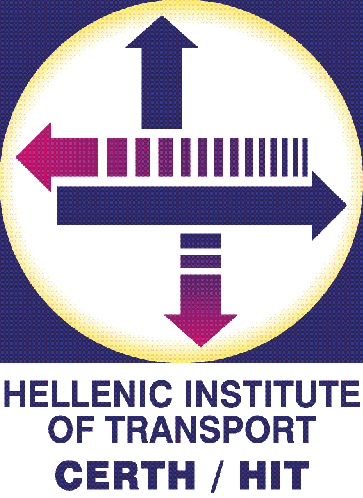 The Hellenic Institute of Transport (HIT) is the Greek National Institute for the promotion of Transport Research and Policy support. It focuses on applied research in all fields and modes of Transport, providing input for policy formulation, documentation of major trends and impacts, formulation of operational rules and procedures, improvement of the operation and management in the field of transport. − Profound experience in road safety research, being involved with lead or main role in more than 40 European road safety research projects so far. − Infrastructure excellence for conducting road safety research, including research vehicles, passenger car simulator, riding simulator, hybrid motorcycle and Virtual Reality Lab. − Leading transport policy research by currently chairing/ having chaired lead European associations such as, ECTRI, ETRA, FERSI, HUMANIST and AVERE.